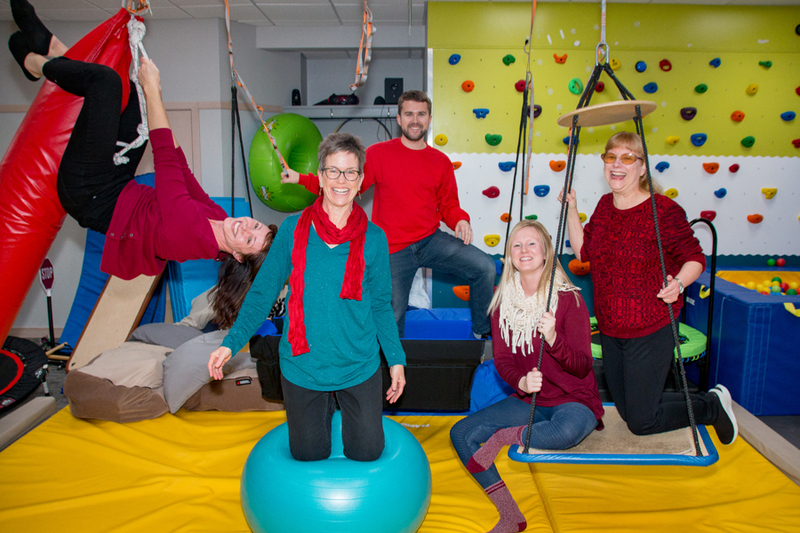 The fun-loving staff of Sensory Systems Clinic West! We also offer CranioSacral Therapy. Occupational therapy is a profession that helps people, across their lifespan, participate in the things they want and need to do through the therapeutic use of everyday functional activities. Occupational therapy uses a holistic approach to address cognitive, mental health, developmental, and physical disabilities and/or injuries. When direct service is indicated, our experienced occupational therapists provide an individualized comprehensive program. Through collaboration with each client and their family/caregivers, developmentally appropriate and fun activities are selected that focus on sensory, motor, postural, cognitive, visual/perceptual, self-care and social-emotional development.